Cut out 8 pastry circles (each approx.10 cm in diameter), transfer to the prepared tins. Prick the bases firmly with a fork, briefly refrigerate. 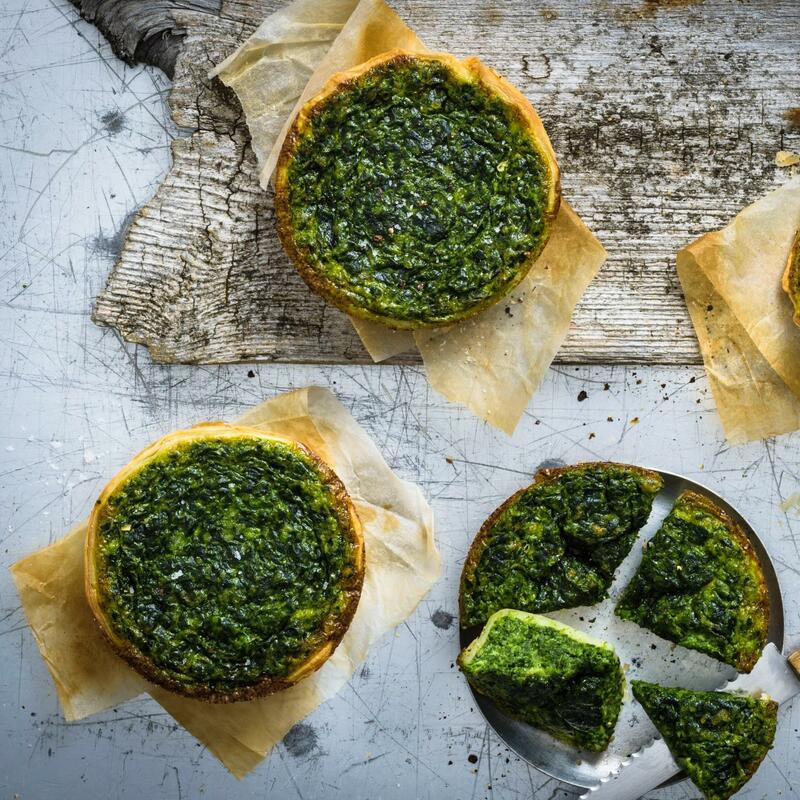 Mix the spinach with all the other ingredients up to and including the onion, spoon into the pastry tart cases. Approx. 25 mins. in the lower half of an oven preheated to 220°C.